Keep your private information from getting into the wrong hands. We offer comprehensive document destruction services in Dorchester MA and the surrounding area. Whether you are looking to purge a small pile of files or need to get rid of a massive mound of documents, our professional shredding team is here to help. We offer next-day service Monday through Friday. Simply call our office so we can help you pick the appropriate service for you. Then we can give you a fair and reliable quote and during the same call, you can make your appointment for any day you want Monday to Friday and we’ll arrive on site ready to destroy your records. If you want a shredding company that you can trust with your sensitive documents, then contact Time Shred today. A1 DATASHRED is a fully mobile service that can arrive anywhere in Dorchester MA and begin destroying documents right away. We have a fleet of trucks that are equipped with state-of-the-art paper destruction equipment that can help you get rid of your files fast. We place your papers into one of our bins so they can be lifted by the mechanical bin tipper. Once inside the truck, we will destroy your documents with our industry-grade shredders. We have cameras inside the truck that will send a video feed directly to a viewing screen on the side of the truck so that you can view your files going through the blades. We want you to feel confident that your private documents have been completely destroyed and are no longer readable. When the shredding is complete, we haul the shredded paper to a recycling center so it can be used to make other paper products. One-time Shredding – You may have accumulated business records over a number of years and need to get rid of them for a multitude of reasons. If so, we can help you purge your company files with our one-time shredding option that allows you to order our onsite service only when you decide you need it. Just call us anytime you are ready. Scheduled Shredding – If you are a business that goes through a lot of paper, then you may need to schedule ongoing service from our company. If so, just call us and we’ll place our bins and consoles throughout your office. We can place the secure, locked containers where everyone can access them. Then anytime they need to dispose of papers they just place them in one of the locked containers. We then come by to shred the documents according to a routine schedule that can be weekly, bi-weekly, every four weeks or monthly. Identity theft is a real threat that you need to be aware of even at home. Anytime you want to get rid of personal papers you have at home they should be shredded. It doesn’t take much information for these thieves to cause you problems so shred every piece of paper even junk mail. Our residential shredding service will come to your home any day you want Monday to Friday and you will be able to see your private files being destroyed. When you hand your documents over to document destruction vendor, you may not feel confident that the documents will be properly destroyed. We understand your concern.  For this reason, A1 DATASHRED has received the AAA Certification from the National Association of Information Destruction (NAID). This certification means that our company meets or exceeds the highest standards within the industry for equipment, secure processes, and professional staff. We don’t just earn your business. We also earn your trust! Get a quote and schedule your appointment with one call. If you need shredding service that you can trust with your most sensitive documents, then contact A1 DATASHRED today. We’re ready to help you no matter how small or large your job is.